Mars Orbiter Sends an Amazing Picture of Korolev Crater « Adafruit Industries – Makers, hackers, artists, designers and engineers! 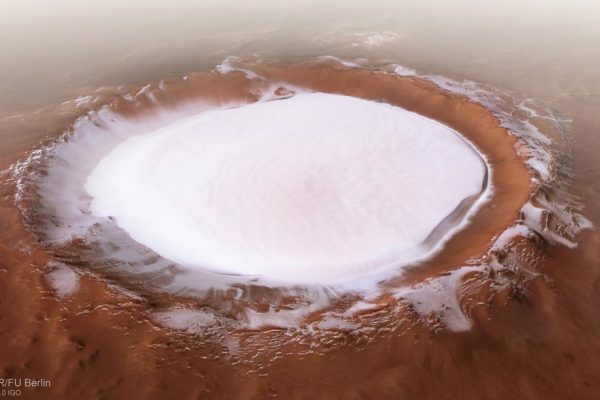 The Korolev crater formed sometime in Mars’ turbulent past, when another object slammed into the northern lowlands of the planet, leaving a scar fifty miles wide and more than a mile deep. Dust and water ice slowly accumulated, building up into a glacier that has nearly filled the hole left behind by that long-ago collision.